The objective of this course is to introduce the recipe of the emerging Cold Gas Spraying (CGS) technology for protecting and enhancing surfaces of industrial products. Who Should Attend to Cold Gas Spray Summer School ? Scientists, engineers, techno-entrepreneurs, product developers and design engineers, product marketers, lecturers, managers and students who are interested to know the recipe of CGS for protecting and enhancing product surfaces for diverse applications. The target is to have a maximum of 30 people attending the Summer School. 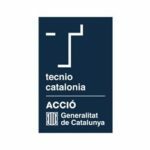 Center within the University of Barcelona which carries out an extensive research on the Thermal Spray field; it covers a wide range of materials suitable for many applications.